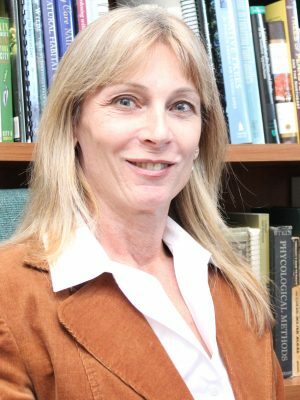 Dr. Danielle Kreeger is an ecologist with more than 30 years of experience working as a research scientist and educator. She currently serves as Senior Science Director for the Partnership for the Delaware Estuary (PDE), where she represents the National Estuary Program’s scientific interests by leading and participating in collaborative science and technical teams that address the goals set forth by the organization’s Comprehensive Conservation and Management Plan. Her other responsibilities include organizing a biennial Delaware Estuary Science and Environmental Summit and charting science, management, and restoration needs in the estuary. In addition to her work for the PDE, she also maintains an appointment as an associate research professor at The Academy of Natural Sciences of Drexel University. Trained as a shellfish ecologist and wetland ecologist, Dr. Kreeger has previously worked as a scientist for the Plymouth Marine Laboratory in the United Kingdom (1992-1994) and as curator for The Academy of Natural Sciences of Drexel University in Philadelphia (1994-2004). She has authored dozens of papers in peer-reviewed journals and hundreds of technical reports on a diverse array of topics. Much of her studies have focused on the ecology, restoration and societal benefits of bivalve shellfish and coastal wetlands. Kreeger has taught numerous courses on ecology, zoology and environmental assessment at regional universities where she also mentors graduate students. For her curriculum vitae and list of her research publications, please click here (PDF file). Danielle Kreeger holds a Ph.D. in fisheries from Oregon State University (1992), a Master’s Degree in Marine Studies from the University of Delaware (1986), and a Bachelor’s Degree in Marine Biology from Penn State University (1984). In her free time she enjoys surfing, camping, antique collecting, running, and spending as much time as possible with her wife, son and friends. To contact Dr. Kreeger, please call (302) 655-4990, extension 104, or email dkreeger@DelawareEstuary.org. Video credit: Lendl Tellington of Pigeonbread, courtesy of Victoria Prizzia at Habithéque, Inc.